A new channel has started in DVB-S Clear: Palestine LIVE (undefined) on 11958.00MHz, pol.H SR:27500 FEC:5/6 SID:2220 PID:2222[MPEG-4] /2223 Arabic. Palestine LIVE (undefined) broadcasts in DVB-S Clear on 11430.23MHz, pol.V SR:27500 FEC:5/6 SID:6404 PID:6408/6409 Arabic. A new channel has started in DVB-S Clear: Palestine LIVE (undefined) on 11958.00MHz, pol.H SR:27500 FEC:5/6 SID:3330 PID:3332/3333. A new channel has started in DVB-S Clear: Palestine LIVE (undefined) on 12644.00MHz, pol.H SR:27500 FEC:5/6 SID:3330 PID:3332/3333 Arabic. 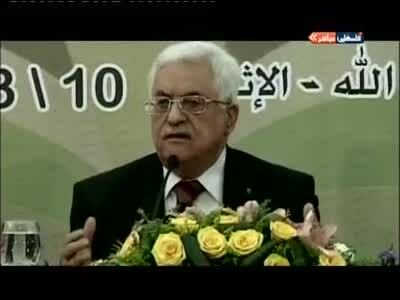 New PID for Palestine LIVE: PID:513[MPEG-4]/4112 Arabic SID:1 (11519.00MHz, pol.H SR:1085 FEC:7/8 - Clear). New FEC for Palestine LIVE on 11430.23MHz, pol.V: FEC:5/6 ( SR:27500 SID:6406 PID:809/810 Arabic - Clear). New FEC for Palestine LIVE on 11519.00MHz, pol.H: FEC:7/8 ( SR:1085 SID:1 PID:255[MPEG-4]/256 Arabic - Clear). A new channel has started in DVB-S Clear: Palestine LIVE (undefined) on 11519.00MHz, pol.H SR:1085 FEC:3/4 SID:1 PID:255[MPEG-4]/256 Arabic. A new channel has started in DVB-S Clear: Palestine LIVE (undefined) on 11430.23MHz, pol.V SR:27500 FEC:3/4 SID:6406 PID:809/810 Arabic.